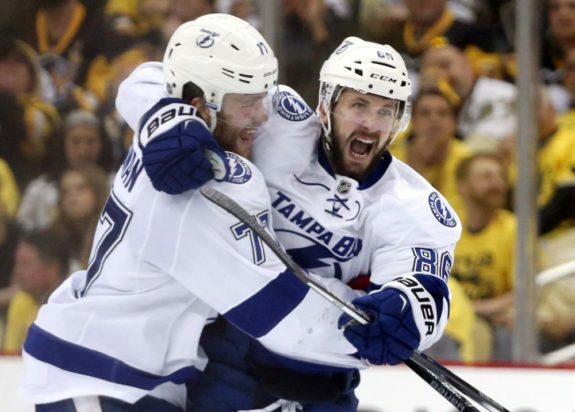 BUFFALO, N.Y. — Steven Stamkos scored the tiebreaking goal with 5:16 remaining to lead the Tampa Bay Lightning to a 5-3 win over the Buffalo Sabres on Saturday night. Just 23 seconds later, the Lightning took advantage of a bad giveaway by Sabres defenceman Lawrence Pilut, and Stamkos found Kucherov for his 22nd goal of the season. Palat evened the score at 2-2 on a spectacular play by Tampa Bay defenceman Mikhail Sergachev. Sergachev raced to the right, placing a perfect backhand pass to Palat in the slot and Palat’s smooth one-timer went in for his sixth. NOTES: D Nathan Beaulieu, D Matt Hunwick and LW Remi Elie were scratched for the Sabres. … D Anton Stralman, RW Mathieu Joseph and LW Danick Martel were scratched for the Lightning. … The fourth and final meeting between the two teams is on Feb. 21 in Tampa Bay.